People living upon the bluffs on the Delta’s eastern margin know that before taking His Sabbath, God peaked here in sunsets. And though we are advised “better is the end of a thing than the beginning thereof,” sunrises were given extra care as well. This is especially true along Highway 35 north of Charleston. Here, every morning the sun fills a small studio with light, casting rays and shadows on dozens of paintings. Some hang on walls, some finished, others rest in various stages of visions unfulfilled. At least eighty-five lay on a table, scattered as a farmer’s thoughts in winter. Two windows face west across a pasture hosting two high-blooded horses before the whole scene falls away to fields of hay, cut cotton stalks and traces of last year’s corn. Ducks and geese fill the horizon near the flyways of the Coldwater and Tallahatchie rivers. But the room is otherwise empty. 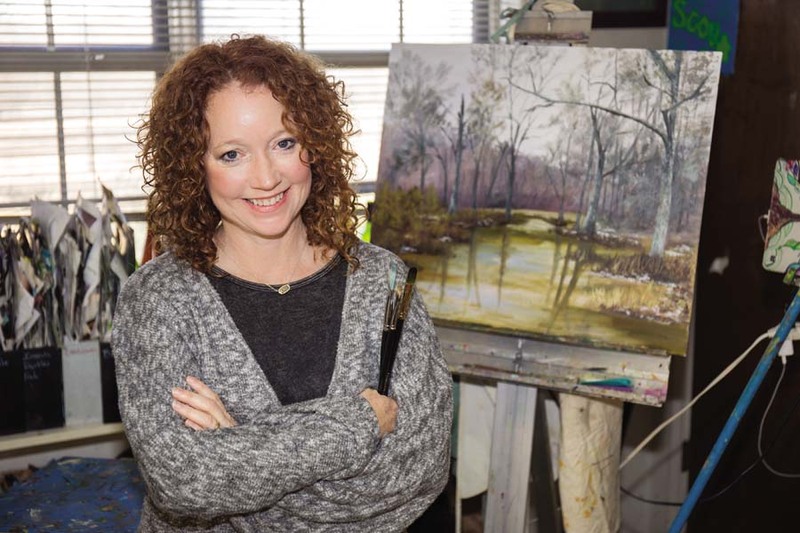 Roark recently earned a Community Supported Artist Award through the Yoknapatawpha Arts Council in Oxford. She is painting two hundred plein air works in two hundred days. The project will culminate in a boo k, the text taken from a journal Roark is keeping. This will be her latest achievement in a lifetime of commitment, frustration and growth. Roark is a rarity among artists because she already lives every artist’s dream. As a young woman she sketched people’s horses to earn the entry fees to horse shows around the country, and has been making a living from art ever since. 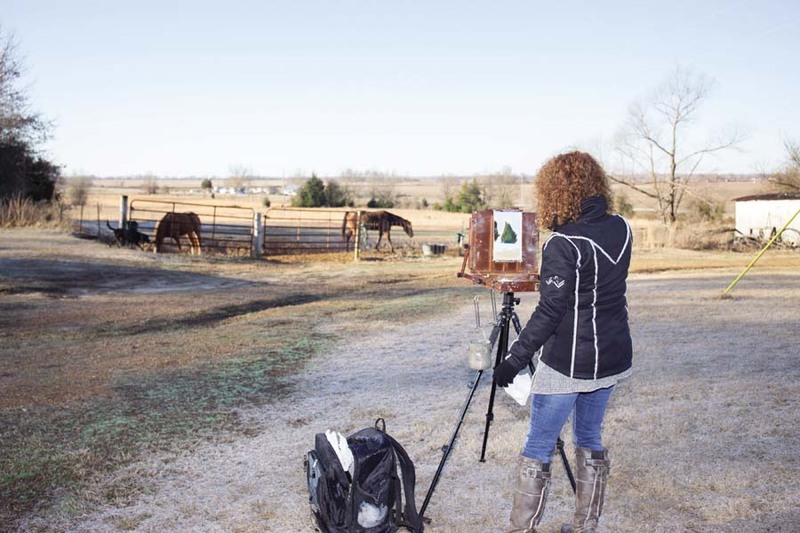 She made such a name for herself as an equine illustrator that she became the Dixie National Quarter Horse Show’s official cover artist for a decade. In the process she painted some of the top Quarter Horses that ever lived. Her work was featured on the cover of The Chronicle of the Horse magazine, and was with L Bar Western Art Gallery in Cedar Point, Texas and Nunnery’s Gallery in Jackson. And yet, even under the tutelage of a master, Roark still felt she wasn’t reaching her potential. She was not painting what was in her heart. She was painting in a specific style, and that comes with certain expectations. Again, she felt the need to break free. 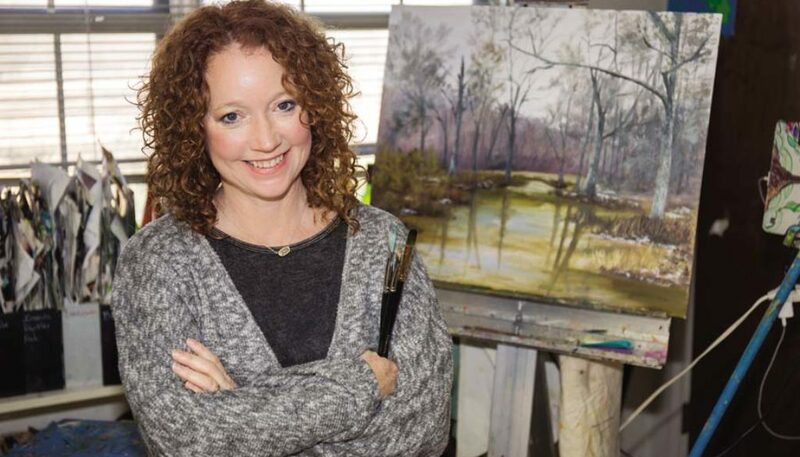 This time, armed with all she had learned taking classes, studying under the best artists she could find, and teaching art for over twenty years, she simply walked outside, opened her eyes and heart to the world and commenced. When pressed about what it is within her that must be brought forth, and how that has changed throughout the cultivation of her talent, she defers at first indicating she loves the outdoors, but is most captivated by light. Later, she admits that she’s always been a people pleaser, and was motivated early in her career by earning money. The combination of these traits confined her to always painting for other people. Roark rarely takes commissions anymore. 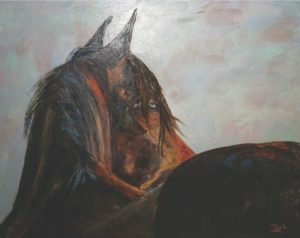 She left galleries behind and hasn’t done a portrait of a horse in years, except for fun or to blow off steam. People do not appear in her work. She is a teacher who broke free from instruction, and encourages her students to do the same. The result is an astounding body of work that is growing daily in both quantity and quality. Her work, while grounded in the present, insists on the nostalgia native to Deltans. A casual observer might be forgiven for thinking, “Oh, there’s a nice swamp scene.” But a deeper look, beyond the initial modesty, reveals a not-so-subtle tension, a blessed bringing forth of light and dark; shade and revelation. There is a vision in her work. Or perhaps more accurately, a song: a dirge howling underneath each painting for all the unrecognized beauty that abounds here in our place on earth. It demands our attention. It compels us to lay aside whatever screen is before us and engage. It is there every moment, flecks of joy for those who dare to look. It stares at us, like a woman’s eyes, shaded by a broad-brimmed hat, searching for elements of the Divine in traces of cloud color, and the way day’s dying light plays upon windblown branches of winter trees. And so, there is hope among the desolate, uninhabited countryside. Look and you will see the richness of bygone days, excitement for tomorrow’s expectations, of beginnings of things and endings thereof. A way that, more than anything, is a place of beauty. The message only a true artist can convey. I thank God everyday Carol and Al decided to live next door. She has taught me so much about art and life As a student I have learned so much and it is just therapadic attending class. She is grounded in her faith and an inspiration to all Her talent is undeniable and she is a teacher that doesn’t do it for you but makes you think and find the solution which in the long run gives you wings to soar! Cal, your words painted a beautiful portrait of Carol! We are so blessed to have Carol in our community. Her giving heart is unmatched as is her talent. Thank you Carol for teaching our children “grandchildren “ and your service to our community!! Thank you, Carol, for always being willing to share your talents with our children and the community. You are such an inspiration to all! God has truly blessed you with a gift. I loved the comments about your work. Great article, Cal and Jason Williams never fails in his photos. I need a Carol Roark painting. Tallahatchie County represented well!